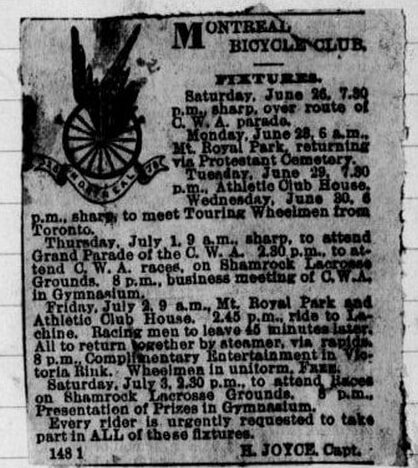 During the 1800's, the Montreal Bicycle Club published it's upcoming weekly events in a Newspaper columns they called Fixtures. These were then recorded in the Minute Book. Today the club uses an online Fixtures Calendar and the Minute Book is part of the website . Sometimes topics are also discussed in the MBC Blog. You can also host and add a ride, inviting members to join you by using this form.